By 2035, the thirteen-county Houston-Galveston region is expected to grow by an additional 3.5 million people. Accommodating this growth will overburden the region's transportation network unless we identify ways to reduce vehicle trips. The Regional Transportation Plan of the Houston- Galveston Area Council (H-GAC) lays out a new strategy to address this growth - Livable Centers. 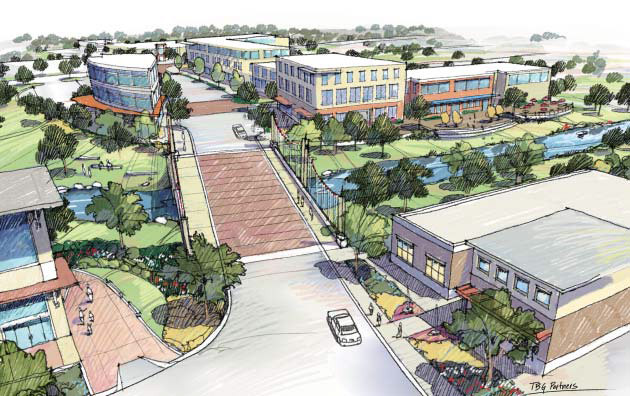 Livable Centers are walkable, mixed-use places that provide multi-modal transportation options, improve environmental quality and promote economic development. These places are safe, convenient, and attractive areas where people can live, work, and play with less reliance on their cars. In 2010, the District submitted a preliminary vision of how to improve the area to H-GAC for consideration for a Livable Centers Study Grant. The Near Northwest Management District Livable Centers Plan is a partnership between H-GAC and the District for developing a vision and plan for a Livable Center. The Livable Centers Grant provided the funding to develop design recommendations, infrastructure improvements and urban design solutions that will provide residents and businesses with more appealing places for people to interact and gather, make walking, bicycling and transit more convenient, preserve the environment and create a unique community that will act as a catalyst for investment and development. This plan will incorporate recommendations for transportation, infrastructure improvements, urban design and economic development. 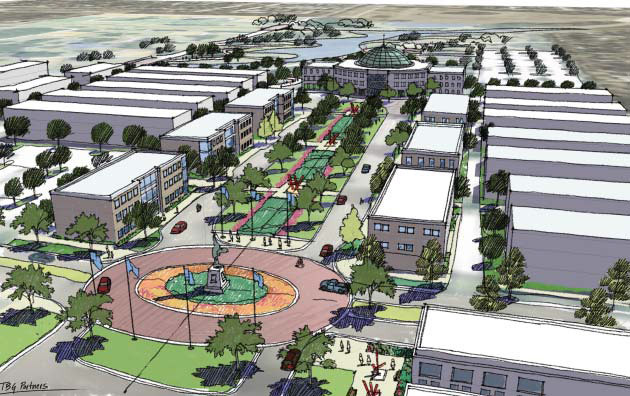 The original focus of this Livable Centers Study is to explore the creation of a Town Center along the Antoine Corridor from West Tidwell Road to Victory Drive that would attract business into the area as well as increase the area's livability for its residents. The Livable Centers Study was intended to help to define practical ways to improve the area's accessibility, increase venues for community activities and generally improve the area through projects like the creation of pedestrian and biking thoroughfares, providing bike parking at bus stops, adding beautification elements, revitalizing vacant shopping centers, improving existing parks and adapting the vacant golf course into a community center and wellness park. The consultant and design team commenced in February 2010 by studying the area to become familiar with existing conditions and the opportunities and challenges. The District formed an Advisory Committee to provide input to the consultant team. An initial Stakeholders Meeting was held February 23, 2011 at Advent Lutheran Church at which a preliminary Vision Statement and "Big Ideas" was presented for input and feedback. Transform Antoine into a destination intertwined with the waters of White Oak Bayou and Vogel Creek, linked to the heart of Houston by waterside trails and enhanced transit, punctuated by unique parks and community gardens, to be reborn as a walkable, bikable mixed-use corridor anchored by landmark buildings and lively public spaces. The Livable Centers Study developed design recommendations, infrastructure improvements and urban design solutions that will provide residents and businesses with more appealing places for people to interact and gather; make walking, bicycling, and transit more convenient; preserve the environment; and create a unique community that will act as a catalyst for investment and redevelopment. The vision for the Antoine Corridor is to transform it into a destination intertwined with the waters of White Oak Bayou and Vogel Creek, linked to the heart of Houston by waterside trails and enhanced transit, punctuated by unique parks and community gardens, to be reborn as a walkable, bikeable mixed-use corridor anchored by landmark buildings and lively public spaces. The plan recommends renaming the area White Oak and focuses on distinctive changes to be made. 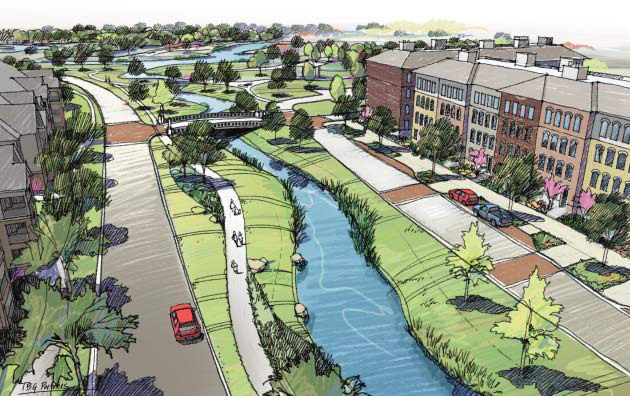 Enhance the Five Bridges at Antoine, West Little York and Victory crossing White Oak Bayou and Vogel Creek to celebrate the waterways with a signature look and new trails at water's edge. Coordinate redevelopment of Bayou Boulevard at White Oak, on property formerly occupied by deteriorated and abandoned multi-famil projects and transfor DeSoto Street into a linear water channel that connects a propsed park at the White Oak Bayou at the east end with a proposed plaze and water feature visible from Antoine at the West end. 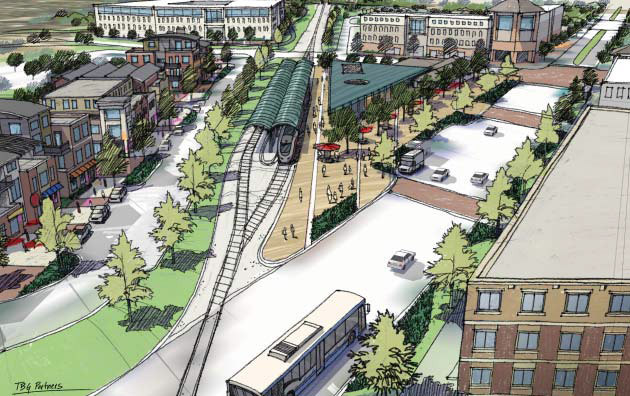 Develop White Oak Station, a multi-modal transit hub with a signature express bus service that will eventually accommodate light rail transit on the Burlington Northern line. The following documents are available in PDF format. To view, please download Adobe Acrobat Reader.